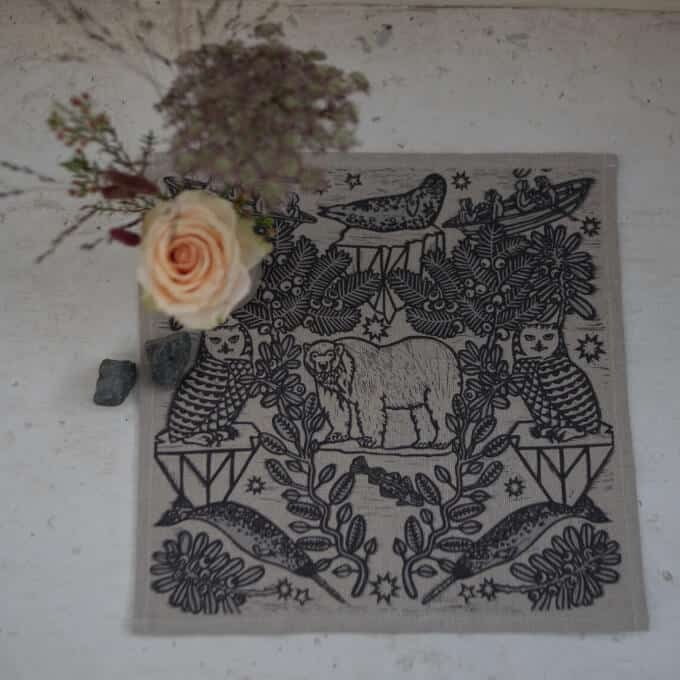 Lino block printed by hand onto British linen, these napkins are bound to get the conversation going at mealtimes. 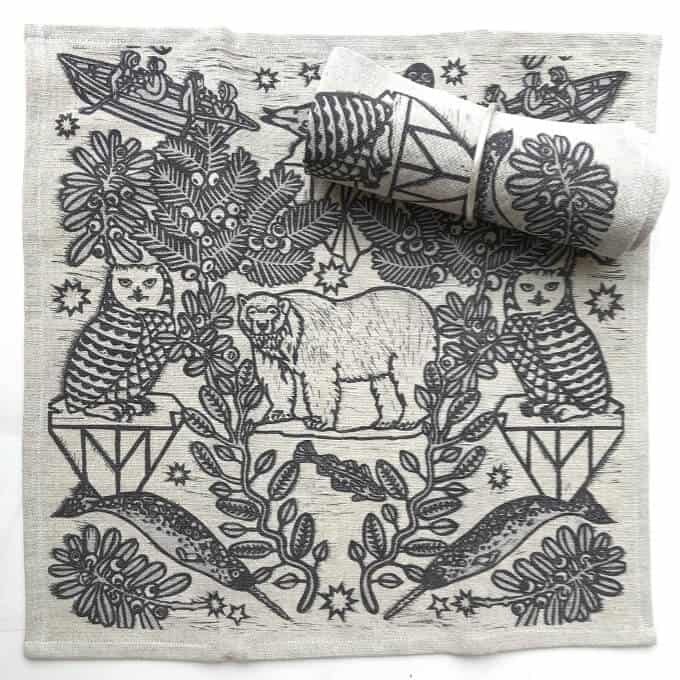 The design incorporates ice flows in geometric shapes, Arctic animals including the Polar Bear and the Narwhal that Isobel would have seen on her travels, and a kayak with Inuit sailors that Isobel commissioned. These elements are interwoven with garlands of two plants that were widely used by the Inuit. The Bearberry which has a rounded leaf and red berries and the Crowberry which has sharply pointed leaves and blue berries. 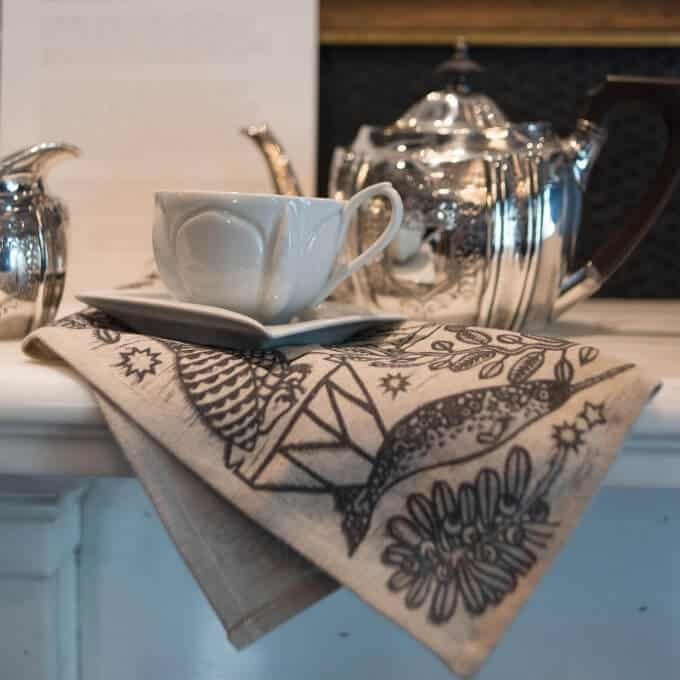 The pattern is brought together with the stars that would have helped Isobel and her companions to navigate.